Trades businesses should try and keep their teams hours 85% billable. We make tools to help you get there. Keep your team busy by giving them all the information they need in advance and reducing down-time between jobs. 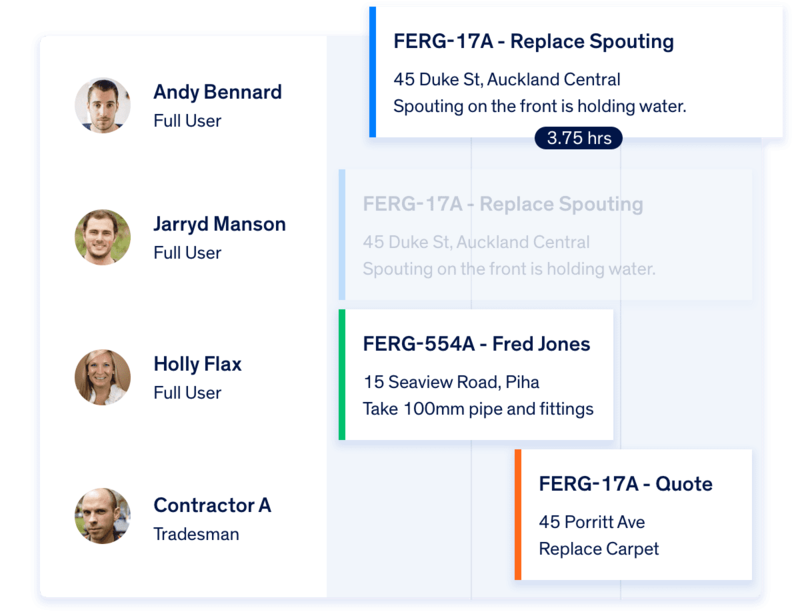 Easily see at a glance who can be scheduled to a job and notify them instantly. 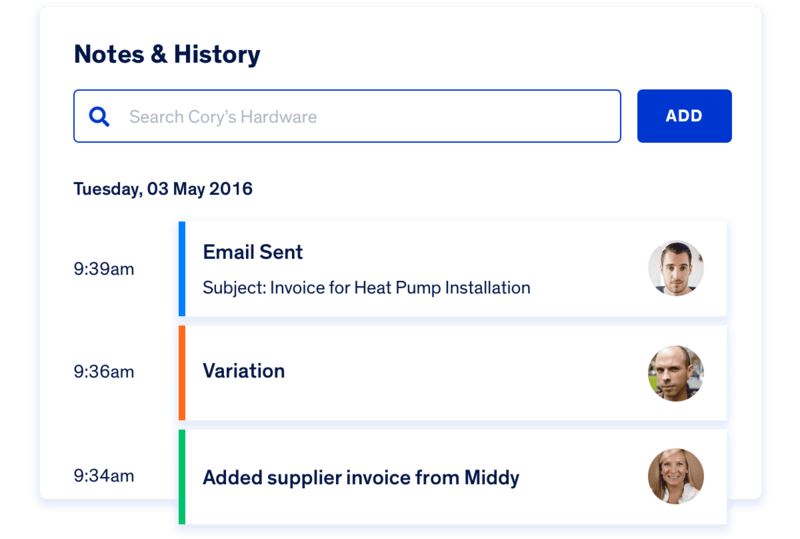 Keep your team updated on changes to job scope, location and more with Push Notifications. Make sure your team know where they need to be in an hour, this afternoon, and tomorrow. Turning quotes into POs makes it easy to order in advance so the team can pick everything up at once. Make it easy for everyone to access anything important about the job. 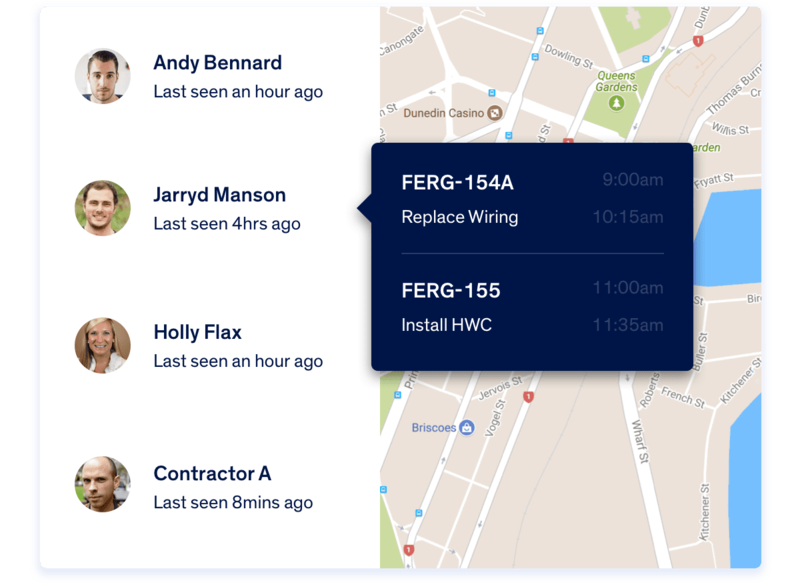 Keep track of progress on site or leave a note for the next team working on the job. Tell everyone to update their time entries for the week or say happy birthday to a team member. Use the start/stop timer to record time spent on site or manually add time later on. Warn the next person visiting the site about a hazard or log compliance. Keep on top of productivity and make sure your team are where they need to be. See where your team are and where they've been throughout the day. Access up-to-date information in the job card to see what's happening on-site. See how many hours your employees worked vs. how many were billed.